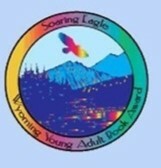 The fun thing with the Soaring Eagle Book Award program is that it is run almost entirely by teens in Wyoming. Teens each year get to nominate their favorite books. Then a committee of teachers and librarians narrows the selection down to ten. Once the nominees are announced, the YA staff at Campbell County Public Library uses a Campbell County Public Recreation District grant to order sets of the nominated books for county agencies and district schools so that all students have access to them. From February 15-March 15 teens who have read at least three of the nominees can vote for their favorite and nominate new books for next year. The books cover many different topics and genres including romance, horror, historical fiction, non-fiction and many others. Over the next few weeks we will be posting booktalks for all ten 2018-2019 nominees. This week let’s look at a few fantasy/science fiction titles! What would you do if you were separated from your siblings at a young age, and then told when you turn 16 you must kill them? In every generation on Fennbirn a set of triplets is born. These sisters are separated at a young age and raised by families who possess coveted magic. The elementals, able to create flames and storms, raise sweet and beautiful Mirabella. The poisoners, able to consume and touch poison, raise plain-Jane Katharine. Finally, the naturalists, able to control any animal, raise the fierce stubborn Arsinoe. The three are kept away from each other until the night they turn 16. On that night the games begin, and they are life or death. The winner takes the crown. 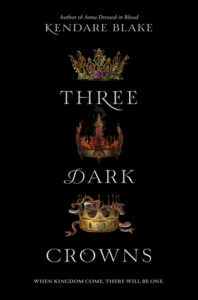 But when outside forces intervene, and secret alliances are being made, the triplets don’t know who to trust. With their lives in the balance, who will survive? Mirabella, Katharine and Arsinoe are pushed to their limits, and the island of Fennbirn never lets go. Amani will do anything to escape Dustwalk, including pretending she is a boy, getting into trouble with the law and befriending the fugitive Jin, in hopes he will help her out of town. She has no problem using him to get what she wants, thinking he is just a foreign bandit out to take advantage of others. 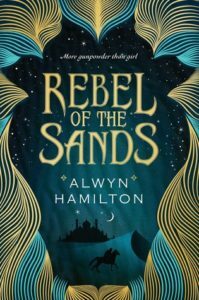 This begins Amani’s great adventure filled with rebel armies, magic horses, sabotage and finding true family and friendship. Amani is a true adventurer who is afraid of nothing. She is a master with guns and uses her skills to get her out of town and keep her alive. The mysterious fugitive Amani uses to escape her fate in Dustwalk turns out to be a man who takes her on a journey she could not have imagined. They fight rebel armies, friends and enemies alike who have reasons to want them dead. Amani struggles with trust and loyalty since she has had very few people who have been loyal to her. When she finally meets Jin’s people and discovers his secret, Amani discovers a tribe she wants to be loyal to and the people she is willing to trust. Twins Carys and Andreus are accustomed to certain patterns in their lives in the Palace of the Winds: Andreus studies and fixes the giant windmills that power their kingdom; romances a new girl every few weeks; and hides his “curse” from the Council of Elders. Carys suffers the unending criticism of her mother; helps Andreus hide his secret; and suffers punishments for her brother whenever she protects him from the Council. These patterns, for Carys and Andreus, will probably go on forever, as neither of them will rule the kingdom. Until the day when, in one 24-hour period, both their father and older brother are assassinated, and their mother goes mad. Suddenly, the kingdom is without a clear leader. The Council of Elders sets up a Trial of Virtuous Succession – a series of tests by which Carys and Andreus will prove that one of them is worthy to lead. At first, they craft a secret pact about who that person should be…. 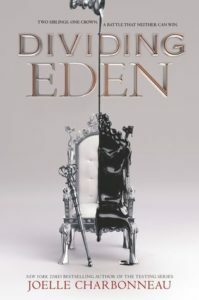 but as other people become involved in the Trials and plant seeds of distrust in the twins’ minds, the competition becomes more real… and more deadly. Did any of these titles sound interesting to you? Remember all these can be found at your school and public library just stop in and ask! If none of these interest you don’t worry we still have seven more to show you! Previous Previous post: CCPL Teen Volunteer applications– Happening NOW! 2018-2019 Soaring Eagle Nominees–Voting Now Open! Explore Tech in the Teen Room During Teen Tech Week! Jennifer A. Nielsen Author Visit!